We released the 3.1 version of our app this week, with great improvements and one very serious bug that caused real heartache for some users. We are very sorry to have not caught this bug internally before release! We have since reverted the app (to version number, 3.0.7), which brings us to the previous feature set so we can prevent more people running into issues while we correct the new version of app. If you’re on version 3.0.7 or 3.1 and aren’t having problems, don’t do anything at all. Wait for a post 3.1 update before upgrading. If you’re on 3.1 and having purchasing errors, update to the newest version available. You will need to re-download your local library. If you continue to have problems restoring purchases, use the in-app Feedback so our team can help. 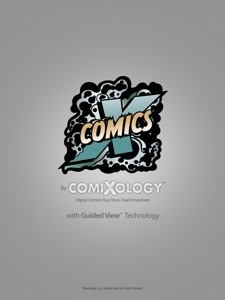 We love our comiXology users and aim to never get in the way of your finding and reading great graphic novels and comics. We sincerely apologize if you’ve been one of our affected users. Check out Marvel’s Latest and Greatest on Sale on ComiXology Now!